effectively protect unpopular individuals and ideas. 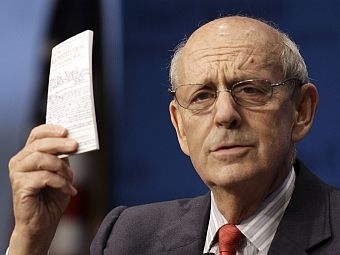 VPR Presents Stephen Breyer’s lecture at the Calvin Coolidge Center in Plymouth on July 30th. Breyer has served on the high court since 1994, when he was appointed by President Clinton. He’s just published his fourth book, Making Our Democracy Work: A Judge’s View. Learn more about the Calvin Coolidge Memorial Foundation.